The day is hot and muggy, but cool weather is moving in. All at once, there’s a thunderous rumble that sounds like an approaching freight train. The sky darkens, and the wind picks up. 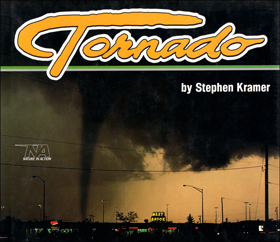 A spinning cloud touches the ground, tossing roofs, cars, and trees skyward. A tornado is on the move.